In 1988, Bobby Norris was searching for autism-specific services for his daughter, Audra. At the time, it was estimated that 1 in 10,000 children were diagnosed with autism according to the Center for Disease Control, and services were not readily available. Bobby’s search led him to the Autism Treatment Center and they gave him hope. That hope turned in to a mission. Bobby’s generous heart and philanthropic spirit prompted him to start the Roundup for Autism to raise funds to support the vital programs and services at the Autism Treatment Center. ​The first Roundup for Autism event was held at Bobby’s ranch in Burleson. Consisting of a one day cutting and roping competition, this event raised $5,000 that was presented to the Autism Treatment Center. Since then, the event has grown into several major fundraising events through the year spanning the state of Texas. Today, Roundup is one of Texas' largest fundraisers for the Autism Treatment Centers of Texas and just celebrated it’s 30th year! Roundup, in partnership with the Lone Star Pony Express (one of Roundup’s biggest supporters) holds fundraising events across Texas throughout the year. Events include: the Lone Star Pony Express BBQ Cook-Off at Winch Ranch in Montgomery; Lone Star Pony Express Golf Tournament in Houston; Kick-Off Party in the Fort Worth Stockyards; Roundup’s biggest event, the Pegasus Ball - a black-tie affair at the Fairmont Dallas; 2 days of sorting, roping and barrel racing competitions at Glenrose Expo Center in Glenrose; and smaller events throughout the year in the DFW area! It takes dedication, perseverance, and all types of talents to produce these events throughout the year - in other words, it takes an army! Want to get involved? Click here to Join our team of volunteers and our Roundup family! Since 1976, the Autism Treatment Center has assisted individuals with autism throughout their lives as they learn, play, work and live in the community. By providing a lifetime of services and support 24/7/365, ATC is changing lives and building brighter futures for children and adults with autism. Services include residential, educational, therapeutic, adult programs and research. Anna Hundley is the Executive Director of the Autism Treatment Center, a position she has held since 1982. In 1985, Anna was appointed by Texas Governor Mark White to be a founding member of the Texas Autism Task Force, charged with developing the State Plan of services for people with autism. Since then, she has been appointed by five consecutive governors to serve on several statewide councils, including the Texas Council on Autism and Pervasive Developmental Disorders where she served as Vice Chair; in 2012, Anna was appointed by Governor Rick Perry to the State Independent Living Council. 2019 Honorary Chairman - To Be Announced! Rex and Renda Tillerson are both native Texans. They been married more than 32 years and enjoy time with their four sons and daughters-in-laws and five grandchildren, all of whom reside in Texas. Country living and ranching are a lifestyle they enjoy. 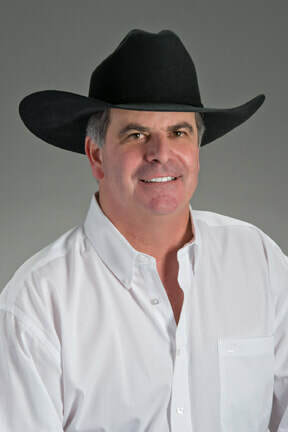 The Tillersons are the owners of Bar RR Ranches, LLC where they raise, train, show, and sell cutting horses at Cutter's Farm in Bartonville, Texas and raise cattle at the Guide Mound Ranch in Kamay. Even during Rex's time as Chairman and CEO of ExxonMobil and while serving as the 69th US Secretary of State, the couple managed to maintain their interest in the day-to-day operations at the horse farm and ranch. ​We are honored to welcome Rex and Renda to the Roundup family! Fighting autism the cowboy way for over 30 years!